Our guess on the OEM is ZTE, but don't quote us on it. Given Sprint's relationship with the company in the past (especially on its prepaid subsidiaries), a Sprint-branded ZTE handset would make the most sense. So, what's this Nexus lookalike packing? 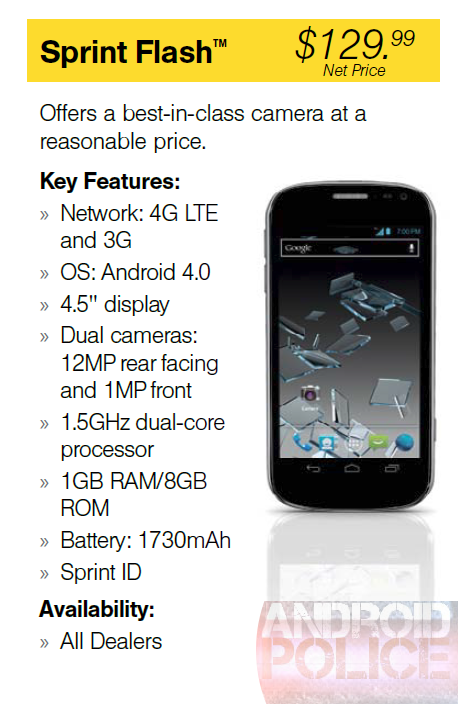 All in all, this actually doesn't look like a bad phone, except for the fact that it's probably a ZTE. It may even have software buttons, but with such a low-quality image, it's hard to tell. Availability is a big question mark for the moment, but we can't imagine this phone is too far off if pricing and rebate structure (seriously, stop the MIRs) have already been figured out. 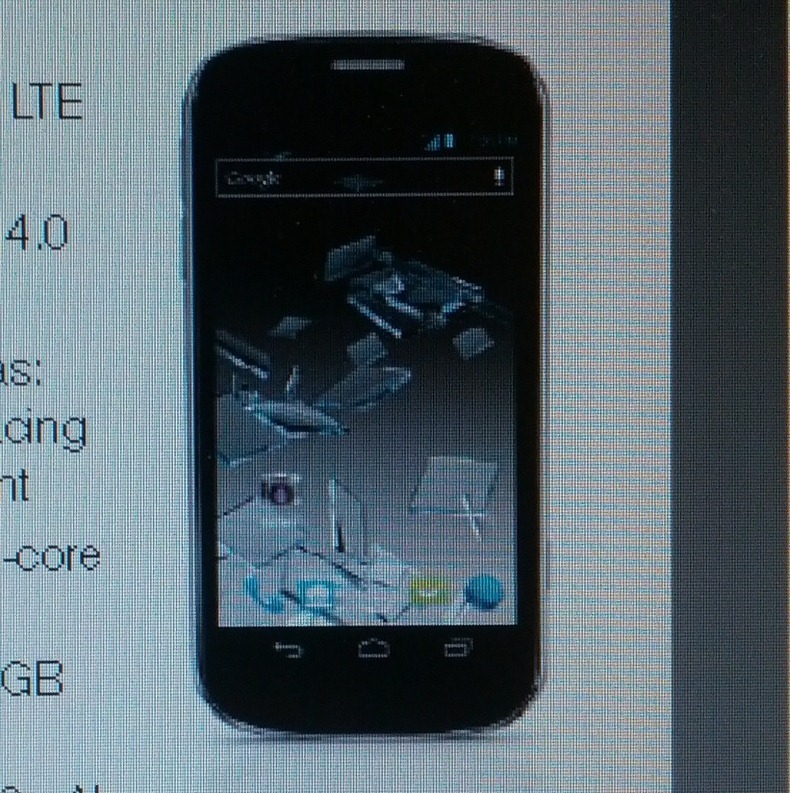 Update: It's launching November 11th, along with the Optimus G and the LG Mach.